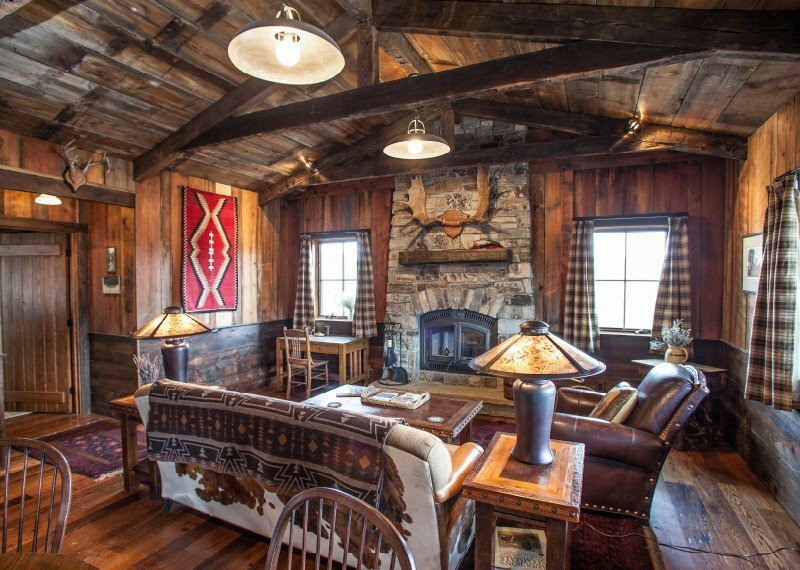 Cattail Cabin sits across from the Granite Lodge in a breathtaking location overlooking the valley and its hillsides. The front porch faces Bikini Beach, dense with its namesake cattail plants in the summer or crystalized into an ice skating pond each winter. This luxury home is suited to two couples or a large family, featuring two master suites, each with a king bed, en-suite bath and private access to the back deck. 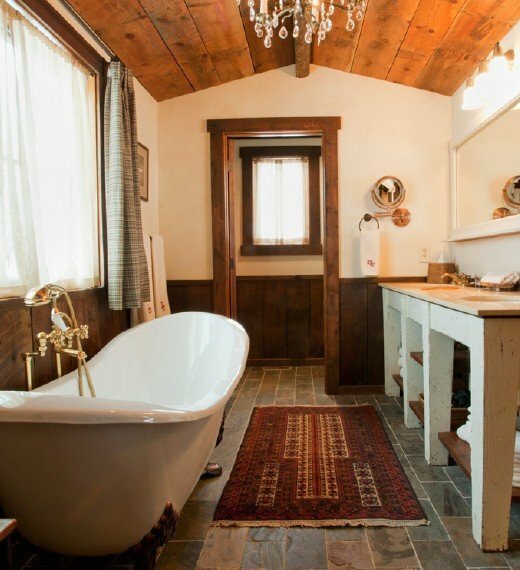 The layout includes a full kitchen and a comfortable living area warmed by a large stone fireplace. 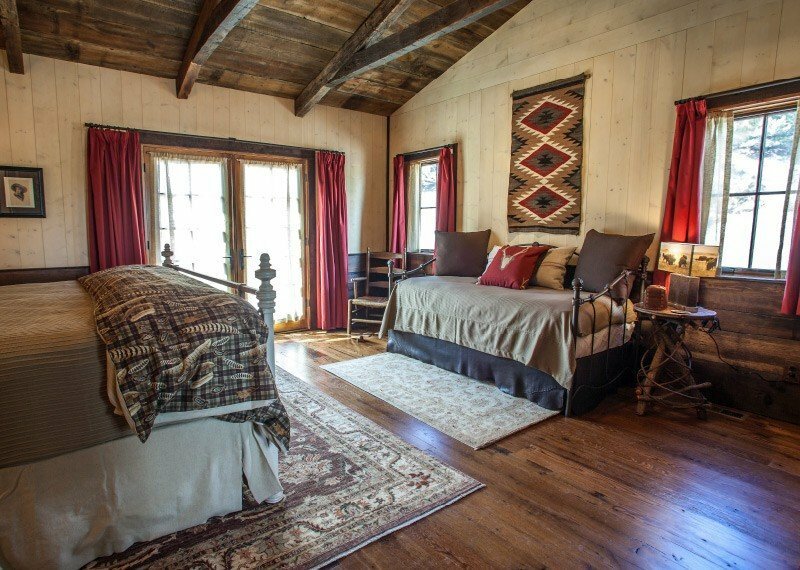 Each room also has a day bed that serves as a reading nook and extra guest accommodations. 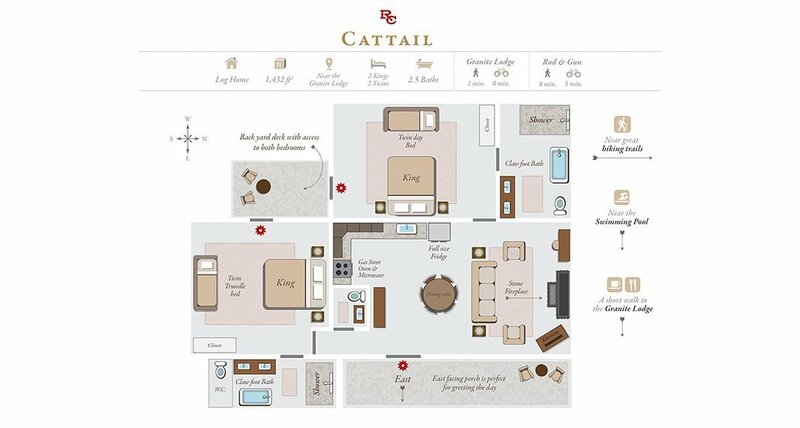 Cattail is a 1,432 sq. ft. two-bedroom cabin. Standard occupancy is four guests, with a maximum of eight. 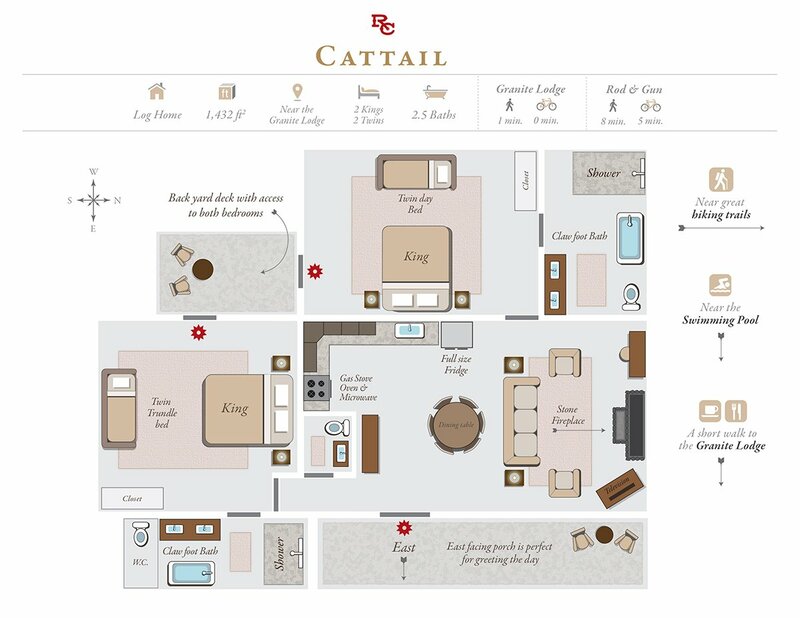 Amenities include a private deck, full kitchen, living area, stone fireplace and daybed reading nooks.